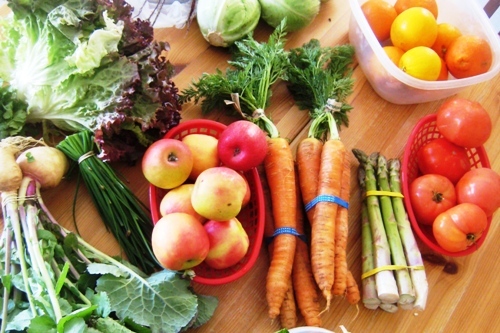 Think you should be spending less on groceries and other food costs than you are? Wondering if your food budget is a realistic one? Then it may be time for a grocery spending audit. 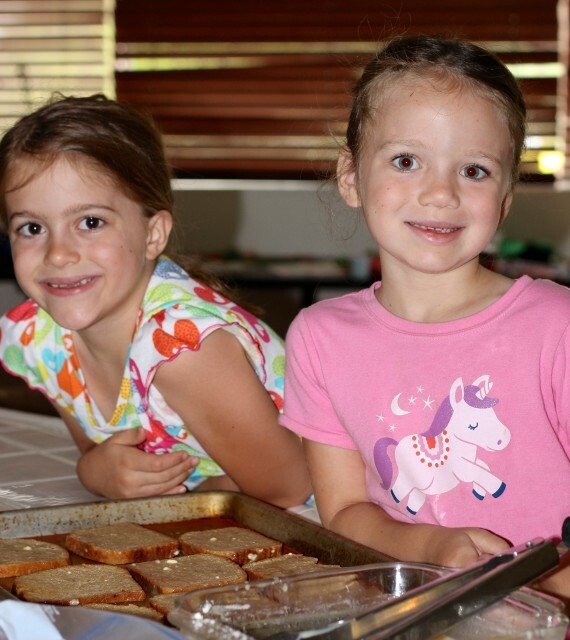 Nine years ago when I was pregnant with my sixth baby, we spent $400 a month on food. That’s right. A slim $100 per week to feed pregnant me, my husband, and five kids. To say that times were lean would be quite accurate. However, we lived in the Mid-west at the height of the coupon craze and I was somehow able to pull it off. It took some careful planning and shopping, but we did it. Today we spend over twice that. But, let me tell you, our family is at least twice its size, if not more! I am no longer the biggest eater in the family. Our family now consists of five MANSIZE appetites, while us ladies can certainly hold our own. Kids’ growth spurts aside, there are other circumstances that effect our grocery spending: food preferences and allergies, cooking and shopping habits, health goals, etc. About once a year, I find it helpful to audit our grocery spending in order to keep us on track and to help me determine realistic goals. How to audit your grocery spending. You may have two kids but how often are you receiving guests, taking meals to friends, or otherwise sharing your bounty? These are good things, just keep them in mind as you budget and maybe give yourself some more wiggle room. Your household preferences and requirements can make a big impact on the budget. Accommodating a food allergy or sensitivity can be really rough on the budget. So can pricier brand foods. I know folks who never ever buy store brand stuff. I used to be one of them. But, I realized that generic often was just as good as brand name and a whole lot cheaper. Do you know how much you’re spending? Have you kept careful track? If not, save your receipts for a month and see what all you bought. You might be shocked and amazed. Are you buying a lot of processed foods? Expensive, organic items? Weird gourmet stuff that no one wants to eat after they’ve tried it? Get a realistic picture of what’s going in your cart. Is it all stuff you truly want and need? Do you stockpile food and then forget you have it? If you do and it goes to waste, you might as well stop shopping and just burn the money; it’s the same thing. Consider what you already have and make a plan to use it. As you shop going forward, consider what a reasonable, usable stockpile is. They say that Americans waste 25% of the food they buy. If that is true, then you and I have the potential to reduce our spending by 25%! Give your refrigerator a good hard look. What’s going to waste that you could use? As you save receipts for a month and examine what you’re preparing, eating, and/or tossing in the trash, consider how you can spend less. Can you make more homemade snacks? Can you bake more often? What about making more homecooked meals instead of eating out? Does freezer cooking fit your season of life? 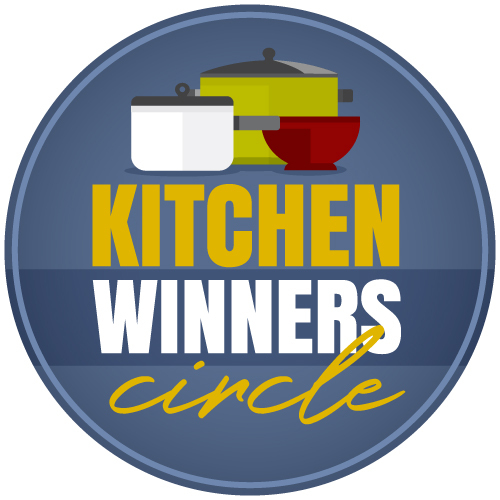 Is it time for a pantry challenge? Would it be better for you to shop once or twice a month so you can avoid impulse purchases? Wondering what a grocery audit looks like? Check out this post where I examine the nitty-gritty details of a real-live grocery audit along with some of our go-to strategies for lowering our grocery costs. It is so helpful to check ourselves, find out our true habits, and then tweak them to fit our overall goals. It can help you eat better and it can help you save money. 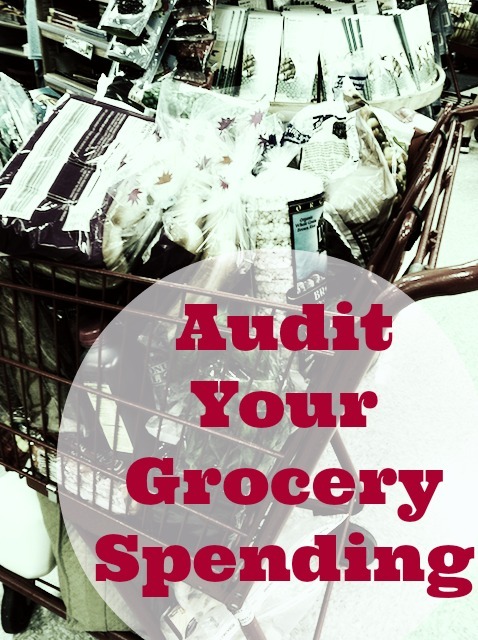 Have you done a grocer audit lately? Ever? I do a grocery audit twice a year when I do my pantry challenge. I try to always be mindful of my purchases though. We are currently in a season of life where we are buying mostly organic, free range, grass fed, etc. 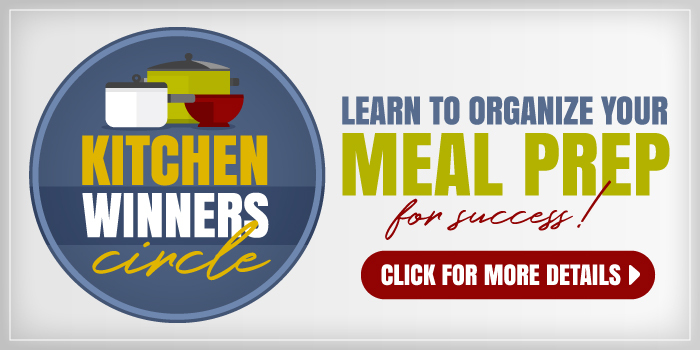 I initially thought in order to eat this way you had to have an open ended budget, but after doing a pantry challenge in July I learned that we could eat this way with only a slightly larger budget than before. We used to spend about $250-300 a month on conventional foods. We never REALLY bought junk, but we did buy convenience foods regularly. Now we spend about $350 a month and we RARELY buy convenience foods. I think a lot of grocery auditing is about setting priorities. Wow! That is amazing. I would love to switch to better meats. You’ve given me hope. There are 2 adults and 4 kid in my household. My older two kids often eat more than me now. I combine my grocery budget with my toiletries (paper products, cleaning supplies, soap, etc). Doing this makes it “feel” like I am not frugal. I have tried to split the two categories, but I buy so much at Costco, Walmart and Target that I don’t want to take the time to figure out how much I spend on groceries versus toiletries. Most blogs emphasize food budgets. What does your family spend on a toiletries category? Or, how do you keep the two separate? I keep our toiletries separate, but we don’t use that much anyway. I don’t wear make-up or much in the way of hair products so the only toiletries are toothpaste, soap, and shampoo. We use baking soda and vinegar for most cleaning. This really keeps costs down. I lump my groceries, toiletries, cleaning supplies, and pet food in the same group as they are typically purchased at the same stores. With a family of 2 adults, 2 teens, 3 dogs and 3 cats – we average around $150 week. I typically make two large grocery trips during the month, meal plan two weeks at a time, and purchase my fruits, veggies & dairy weekly as needed. One thing my family has to track is our eating out expenses. We are a very active family with multiple drivers and it is so easy to just get something while we are out and about. That is a budget killer!! When you do a monthly audit – it is sobering to know that $150 can feed my family 21 meals at home for a week or a mere 3 times at a sit down restaurant!!! Eating out can totally kill the budget. I haven’t done an audit in a while. Not officially. There’s always the number on the budget and spending spreadsheet that I try to keep tabs on. It’s time for one, though. Baby is eating more and more and breastfeeding less and less. Pretty soon — too soon — she’ll be a full-blown toddler, and then I guess I better watch out. That will put our family at two adults in their 30s — I’m active and my husband, well, he eats a lot — a preschooler, and a toddler. So I need to be looking at those receipts over a month or so and see what’s happening now so that maybe I can plan a little bit for what’s coming. We have to rewrite our budget at the end of this month, anyway. We’ve had countless income changes this year (all good!! ), but I think that starting with my next paycheck we’ll hold steady until January. Wish me luck! We have 3 adults and 2 kids in our house. While I purchase nearly everything at the grocery store, we have separate budgets for food and non-food items. Our food budget is $600 per month and our non-food budget is $150 per month. Our non-food budget includes the usual toiletries, laundry soap, general cleaning supplies, paper items such as Reynold’s wrap, vitamins and first aid supplies (how many boxes of bandages does 1 small finger cut require). We have a separate restaurant budget. We do not do tons of entertaining, but I keep a few extra treats in the house for the neighborhood kids running in and out all week. I agree with you about the benefits of a grocery audit. The first time I did one, I found I was spending more on beverages than on meat! Currently I am focusing on reducing my non-food budget so I have been keeping detailed spending information for the past couple of months. My goal is to reduce the budget to $100. Sounds like a great goal! I like what one reader said (not sure if it was here or a past post) about using coupons and traditional stockpiling to offset the nonfood costs. I have not done a detailed grocery audit every, really. I have kept track of what was spent per week and month, and it has greatly depended on how our finances were at the time. My toiletries, cleaning, etc., is included in our weekly allowance because I just don’t want to spend the time to take it out. I’m not spending much on those things and buy the toilet paper and paper towels at Costco every three or four months, I think, and use vinegar and baking soda for cleaning. I’m typically spending about $175-$200/week for our family of four, including two teens, and managing multiple allergies. That does not include eating out, which is typically once a week. I look in awe at the food plans for $150 for 21 meals because it’s not something that’s attainable for me and cooking with allergies. I don’t know how to trim anything else from the food budget right now. Whatever leftovers we have are used at lunch or as snacks. I have really noticed a huge increase in the amount my athletic kids have been eating this summer. I’m actually tracking it this month. 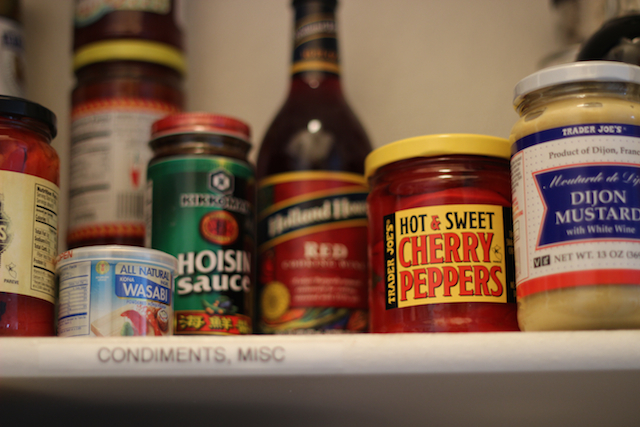 After returning from vacation, we did a pantry challenge to get through the lean weak. I spent $172 last weekend at Costco and am still trying to push the grocery trip to Friday. Did you see what another commenter said about being able to change their ingredients to healthier ones without spending a lot more? That really intrigued me. It all depends on sourcing, of course, but it gave me hope. G’day! interesting blog post today! I did extensive research on this and the average family of four here spends about $200.00 a week! While I do not have a grocery budget or do an audit, sometimes I become creative to see what I can solely use up from the freezer and pantry! Such a great idea! I definitely need to do this! Thank you fir this post. My daughter and 15 yo grandson have lived with me for over a year, so not only has my grocery spending gone up, but so have my water and electricity bills. I try to coupon and go by grocery ads but I feel like all my daughter and grandson want to do are snack and eat stuff that can just be thrown in the oven…not really cook from scratch. I get no monetary help from my daughter who is unemployed. I keep track of all the $ I save (per grocery receipts) and so far this year I have saved over $1,600…not that I have the money. I don’t know what else I can do…according to those FDA charts, I spend well under even the cheapest plan per month. I think it’s wonderful that you have been so gracious with your daughter and grandson. I get the impression that maybe you are cooking for them full time as well as shopping? 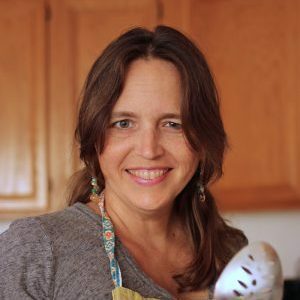 It may be that you switch back to cooking what you want to cook and pay for, with the understanding that if they want something different, they will need to contribute. Just a thought. I know it’s a hard situation. Hi, My grocery budget includes toiletries, vitamins and OTC medicines, and cleaning supplies. I recently separated out the pet supplies to their own budget. You indicated within the comments here that your budget does not include these items. I track our spending quite faithfully while budgeting spend about $1400 in total for a family of 5 including 3 boys 13, 10 and 7. Two on the spectrum with sensory feeding issues and 2 with celiac. I notice you encourage commenters to separate out these categories. Is that worth the effort when all items are bought at the same stores? Will including those other items make the grocery audit less effective? I personally separate them out because I regularly compare my spending with the USDA food cost reports. Those report the cost of food only. For me, it helps me to think about food separately from the other things which in many cases are tax deductible, optional, and basically fall into other line item categories of our budget. I think it’s just a personal preference. Feel free to do what works best for you. I like being able to compare apples to apples. Also, I order most of our household/toiletries/cleaning stuff/vitamins via Amazon so I don’t usually have to subtract it out of the grocery ticket. We are a family of 2 adults and 5 sons, from 15-7. I do separate the groceries from toiletries and household supplies. I keep all my receipts and about once a week (sometimes more often) I write on the calendar on that day what I have spent so far. Our monthly average for groceries since October of 2016 is an average $850.00 per month. We pack lunches and picnics for when we go out. I bake and cook like a fiend, just so that I know what we are eating. I shop mostly at Costco, Safeway, and Grocery Bargain Outlet for groceries. I try to buy good quality food, not necessarily a stickler for organics, but if its a reasonable price, it goes in my cart. We do have a decent size garden and I get to can and freeze a good deal of tomato sauces, green beans, corn, etc. We also pick and freeze a lot of our fruits, like strawberries, blueberries, peaches, apples, etc. I make all of our jams and applesauce, that sort of thing. Its a lot of work, but we all pitch in and I am grateful to live in an area where this is possible. These sound like some great strategies! We are a family of 4 at our home these days, with 3 being MAN-sized appetites. Once upon a time I had our cost per serving at less than $0.75, but I don’t have that much time to cook from scratch anymore, so we average about $1.25 per serving these days. I do an audit about twice a year to be sure I’m meeting my goals. Thanks for the reminder that it’s about time again.